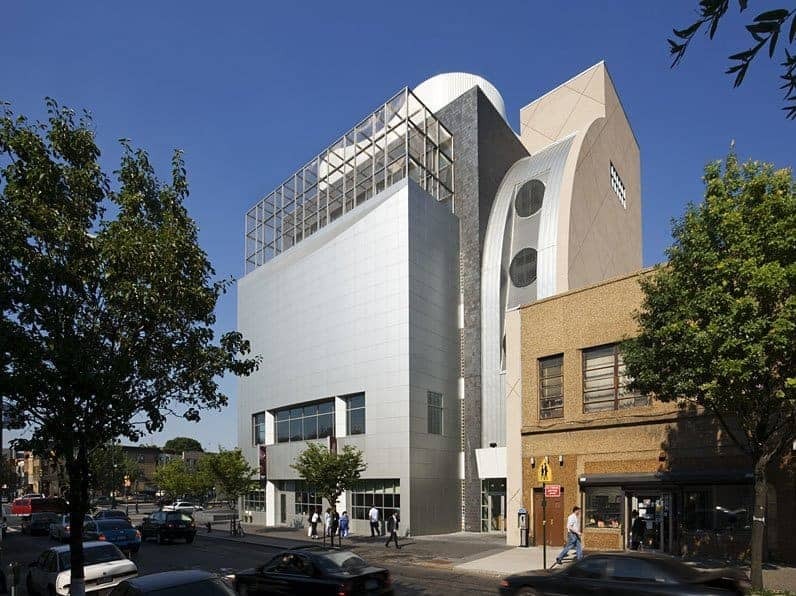 The Jewish Children’s Museum is a unique institution where children and their parents—from all segments of the community—can explore their history and heritage in a stimulating, interactive environment. It also provides the non-Jewish world with a forum for understanding the Jewish community and its contributions to history and culture. Visitors enter the lobby and information area on the ground floor, which also houses a cafeteria and museum shop. The Interactive Computer Arcade on the lower level is devoted primarily to hands-on learning: it contains dozens of interactive creativity workshops, as well as an arts and crafts center. In the galleries occupying the third and fourth of the building’s six floors, visitors encounter an array of exhibits and displays covering Jewish history and heroes, holidays and customs, the Holocaust, and contemporary Jewish life. On the second level, a flexible, 2,700 square foot area alternates as a gallery, concert hall and banquet room. The top two floors of the Museum holds administrative offices, a conference room and support services. Gwathmey Siegel Kaufman’s design invokes sustainable, contemporary materials and a high-tech infrastructure to offset and complement the Museum’s narratives of ongoing tradition.